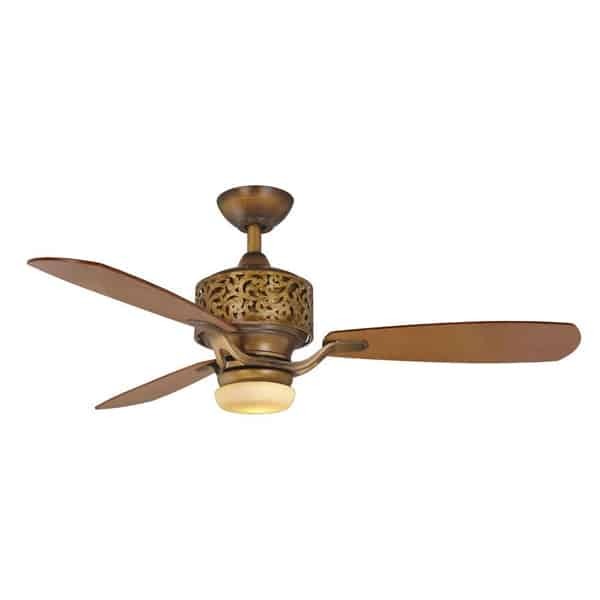 Add that updated look to your transitional home decor with the Hampton Bay Cailin Gilded Bronze Ceiling Fan. This 3-speed fan features 3 blades to help move air efficiently, with quiet, wobble-free operation. The light kit has an appealing excavation glass, and the hand held remote provides independent light and speed controls. Uses one 75W mini-candelabra halogen bulb (included). Ideal for small rooms with blade sweep of 48 in.